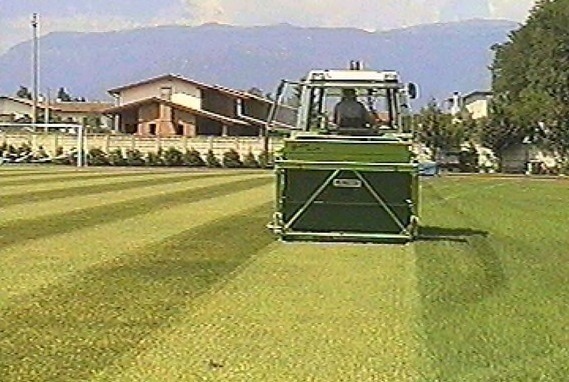 The JAGUAR flail mower is used for perfect grass cutting and collection at the same time on grass fields. 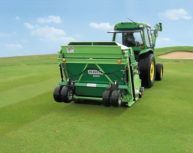 Engineered for grass cutting, verticut action and collection at the same time of all processed product for a perfect clean and verticut lawn. The grass catcher discharges the product by means of hydraulic rams directly on a truck at 2 mt. height. 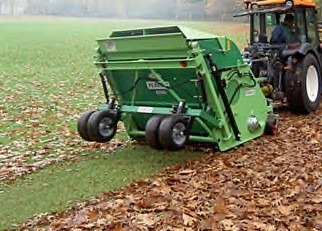 For discharging grass to the ground when collection is not needed. REAR TRANSPORT WHEELS Helps the use with small tractors and for easy machine transport. LIGHT KIT 3 mm thick. 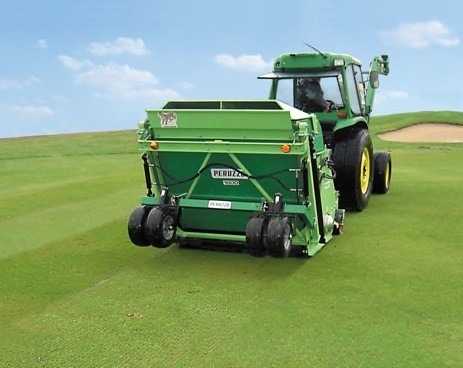 SECOND ROLLER Prevents scalping on presence of hilly grounds. 2 mt. longer hydraulic tubes with plugs to fit while using draw bar and longer distance from tractor operator sit.